Without the right equipment, you’ll find it almost impossible to achieve high-quality sound. The powered speakers that you choose have a major impact on the quality of sound that you’ll enjoy. When shopping for these products, it’s important to understand the difference between powered and passive speakers. PA speakers are different because they include a speaker, crossover and amplifier inside of the same cabinet. By purchasing powered speakers, you can benefit from the fact that everything that you need for high-quality sound is included inside of a single speaker. To make it work, all that you need is a sound source. Depending on your preferences, the sound source might be an instrument, music player or mixer. You can use powered speakers to simplify your PA system, and when compared with many of the alternatives, they’re much easier to set up. You’ll find that the best powered speakers are significantly more expensive than most other speakers because of how they’re designed. For gigging musicians, powered speakers are almost always the best choice, and they allow you to manage your own sound system. Passive speakers perform best for growing production companies, and by choosing to purchase and use passive speakers, you don’t have to worry about matching amplifiers to the speakers. Below, you’ll find a comparison table and reviews for a few of the best powered speakers on the market. The Pyle Bluetooth loudspeaker is Bluetooth compatible, and it can be used to stream your favorite music. 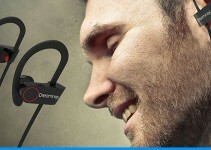 Since it has Bluetooth compatibility, it can be connected to tablets, MP3 players and smartphones. With a power output of 300 watts RMS, it can produce plenty of high-quality sound. It has a peak power rating of 600 watts, and it uses an eight-inch subwoofer to deliver powerful bass. The Pyle Bluetooth loudspeaker uses a quality compression driver and has a one-inch titanium diaphragm. It has a 3.5mm AUX input, so it can be connected to a wide variety of devices. 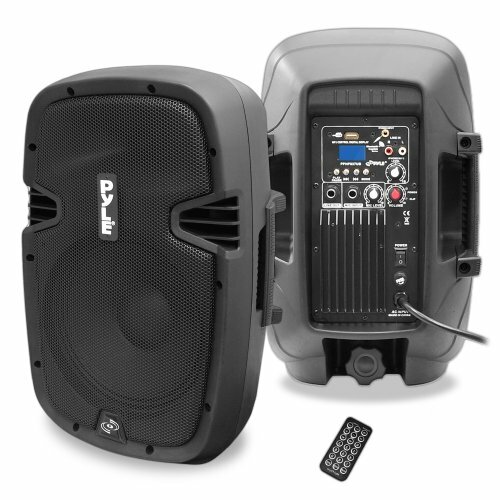 The Pyle powered cabinet speaker will even play music files from USB flash drives. It has an input for a microphone and RCA line input. For convenience, it comes with master volume controls and includes a handy remote. If you’d like to enjoy wide-range, two-way stereo sound and don’t want to mess around with a complicated sound system, then the Pyle powered Bluetooth might be the best powered speakers for you. 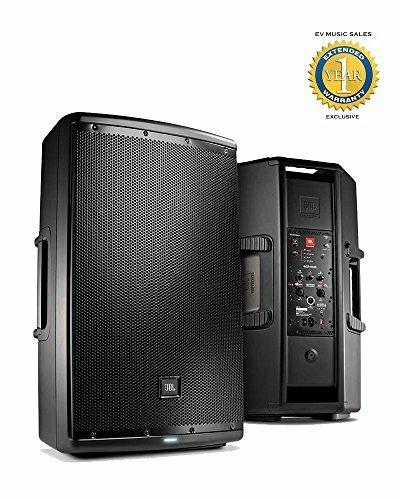 The EUROLIVE B212XL is a high-powered, two-way powered speaker, and it’s commonly used for applications that involve live playback. It delivers 200 watts of continuous power, and it can reach 800 watts of peak power. Since it features a compact, lightweight design, it’s easy to transport and can be used for any type of event. The EUROLIVE B212XL performs well under extreme sound pressure levels, and the quality of the sound is never compromised. It’s made with a powerful 12-inch excursion driver and delivers an enormous amount of deep bass. 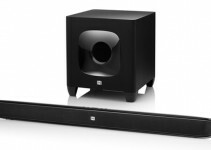 When compared with powered speakers in the same price range, the EUROLIVE B212XL provides stronger acoustic power. 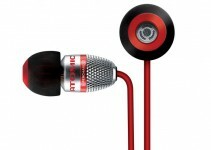 It has a 1.75-inch titanium diaphragm compression driver and offers exceptional high-frequency sound reproduction. 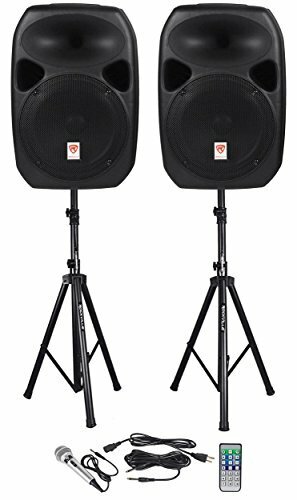 If you’re looking for ultra-wide dispersion and need high-quality sound for live events, this might be the best powered speakers to choose. Here we have another popular set of powered speakers. 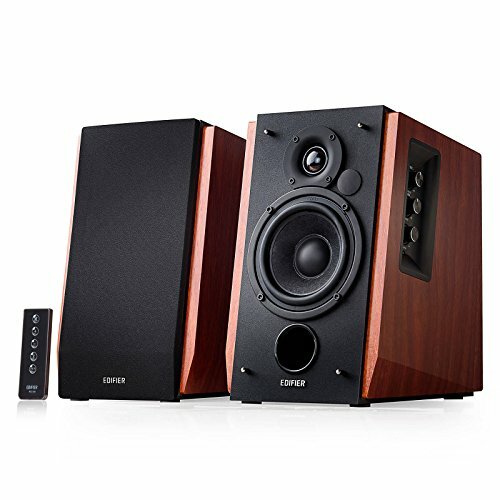 The Edifier R1700BT speakers are Bluetooth compatible, and they can be paired with a computer, tablet or phone. If you’re looking for a hassle-free wireless experience, these Bluetooth speakers are great for MacOS, Android, iOS and Windows devices. With two AUX inputs, they can be connected to different devices at the same time. Once you’ve plugged the devices in, there is no need to switch. The Edifier R1700BT bookshelf speakers also come with a remote control, which allows you to control them at a distance. The remote control gives you the power to mute, unmute, switch input devices and control the volume. With a classic wood finish, these powered speakers are designed to look good in any environment. They’re made of MDF wood and finished with a walnut effect. Since they come with a two-year warranty, the manufacturer is confident in the overall quality of the product. Only the best powered speakers come with that kind of confidence from the manufacturer. The JBL EON615 speaker system is powered by 1,000 watts, and it features an enclosure that is designed for optimal acoustic resonance. By taking full advantage of special molding techniques, the manufacturer has used mechanical shaping to engineer this speaker system for exceptional sound. These powered speakers have JBL Waveguide technology built in, and since they can be integrated with Bluetooth devices, they’re useful for a variety of applications. The JBL EON615 speaker system is made to deliver the best sound for any application, and it’s also designed for affordability. The system comes with a convenient remote control, and it leverages many of the latest technologies for transducer design, acoustic science and cabinet materials. This powered speaker system serves as one of the best choices for musicians. 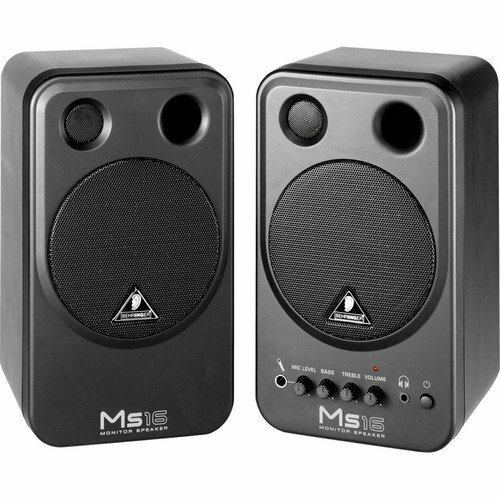 The BEHRINGER MS16 powered speaker system can be used for vocal monitoring, multimedia applications and home studios. It comes with four-inch woofers and high-powered tweeters. For optimal sound, the tweeters draw energy from two eight-watt amplifiers. This speaker system comes with an adjustable TRS microphone input, which is useful for a variety of applications. The BEHRINGER MS16 has built-in stereo RCA inputs, which can accept input from keyboards, sound cards and stereo sources. This compact speaker system is also magnetically shielded, so you can place it near computer monitors and never worry about interference. Each speaker is made from high-quality components and features a rugged design. 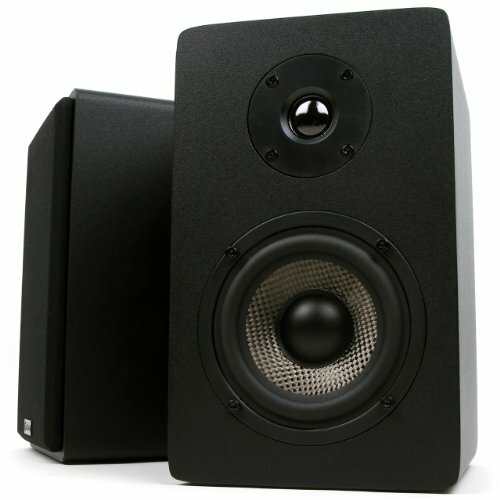 The BEHRINGER MS16 speaker system is commonly used to upgrade a computer sound system, and it’s just as useful for portable keyboards and synth players. Some consumers have used this speaker system to convert a computer into a personal karaoke system. It is undoubtedly one of the best powered speakers for its versatility in this regard. The JBL EON612 powered speaker system is like the EON615, but there are several differences. The EON612 system features a purposeful product design, and for exceptional sound quality, it uses JBL Waveguide technology. With Bluetooth integration, you can connect this system to a wide range of devices. 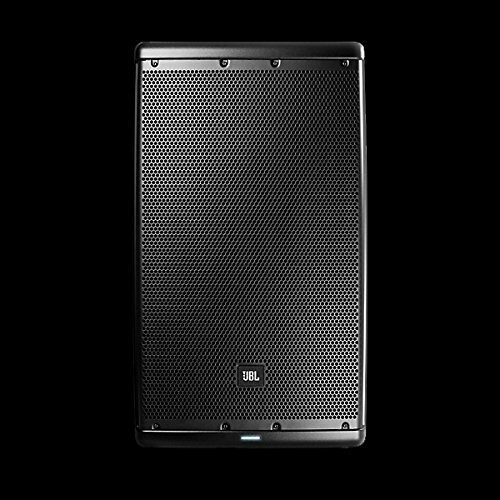 The JBL EON612 sound system is engineered for optimal sound and performs well for any application. Every component within the system is built with an end goal in mind, and the system leverages the latest materials and technologies. The transducer is designed for maximum performance, and with convenient handles, these speakers are easy to move around. The Rockville RPG122K powered speakers come with a microphone and stand. They offer 1,000 watts of peak power and deliver 250 watts RMS. Each speaker is equipped with a 12-inch woofer, which produces enough bass to shake the ground. These speakers deliver clear sound reproduction and clear highs. The Rockville RPG122K powered speakers can connect with Bluetooth devices, so you can play sound from almost any device. There is no need to deal with annoying cables. The powered speakers also have RCA and AUX inputs, which further increases compatibility with devices. With a compact and lightweight design, each speaker is easy to transport and move between locations. Even when used at extreme SPL, the Rockville RPG122K powered speakers produce crisp sound that is free from the grips of distortion. Several different control knobs allow you to adjust the bass, treble and volume. There are also knobs for adjusting the microphone volume levels. The Micca PB42X powered speakers have a balanced woven carbon fiber woofer, and they’re enhanced for impactful bass. They have high-performance silk dome tweeters, which deliver smooth treble. Each speaker has a ported enclosure and produces an extended bass response. With a customized crossover, each speaker offers balanced, dynamic and open sound. The Micca PB42X bookshelf speakers come with built-in, Class-D amplifiers. The amps deliver a steady stream of clean power. The compact, lightweight design of both speakers makes them easy to move and position. The focus for the Micca PB42X has always been quality, and the speakers are equipped with the latest Texas Instrument Class-D amplifier. When compared with many competing products, these powered bookshelf speakers offer superior performance and affordability. Well deserving of a place in our best powered speakers list. 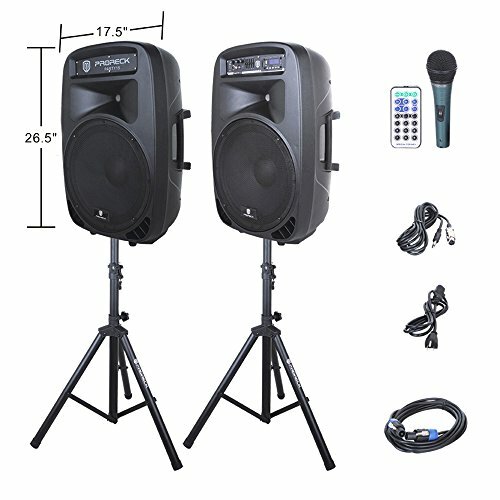 The PRORECK PARTY 15 powered speaker system is great for a variety of events. With 2,000 watts of power, this system produces clear, crisp sound. It’s also compatible with several different input sources. The PRORECK PARTY 15 speaker system can accept input from FM radio, SD cards, USB and Bluetooth. As well as that, it comes with a variety of remote control functions. There are volume controls for Line, Mic and MP3. 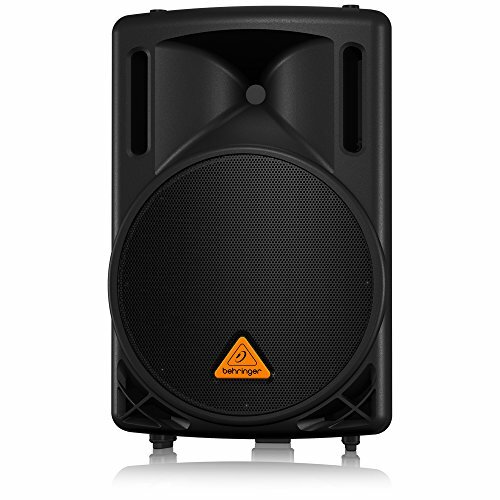 Additionally, with 200 watts RMS, there is enough power to get any party started. Each speaker is equipped with a 15-inch subwoofer, so you can expect clean, deep bass. Built-in LED lights produce four different colors and can be used for a brilliant light show. 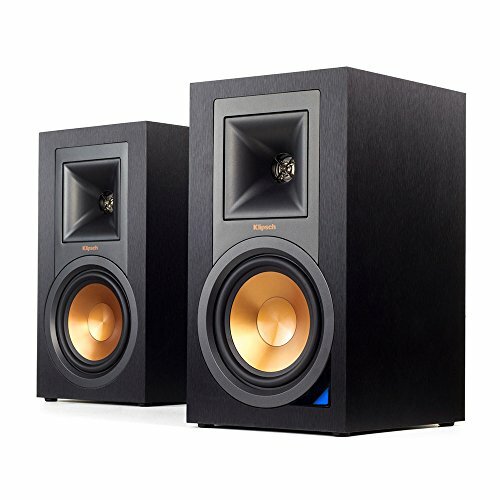 The Klipsch R-15PM powered speakers deliver enough sound to fill any room, and they’re small enough to fit onto a desk. A pair of built-in amplifiers provides a constant flow of power to each speaker and optimizes performance. The custom components are designed to maximize sound quality and output. The Klipsch R-15PM powered speakers have an integrated phono pre-amp and use Bluetooth technology to connect with almost any device. They have USB, analog RCA and digital optical inputs. You even get a convenient remote control, so you can control the speakers from far away. There is something for everyone in our list of the best powered speakers. A choice for those on a budget or those that want to splash out. Those that want versatility or those that want elegant. Your own champion will depend on your own individual tastes and needs. That being said, these will all rock you like a hurricane. Whatever your choice, you won’t be disappointed.